For those that actually read my recap/reviews regularly, sorry for the delay. I was out of town and it wasn't really easy to try to watch the show and write up the post! Anyway, I was finally able to watch this morning, so here we go! The last time they tried to make a spinoff of Supernatural, it was downright awful. For many reasons, one of which was that we didn't know any of the characters ahead of time. But this time around, we are very familiar with quite a few of the characters that are set to populate Wayward Sisters, the show most fans have been clamoring for for some time now. 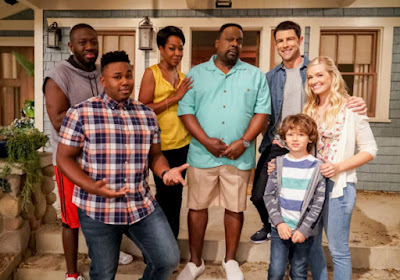 Jody, Donna, Claire, and Alex are set to be joined by Patience and Kaia for this new spinoff, so let's get down to the business. Claire is off doing her own hunting thing, when she gets a call from Jody that Sam and Dean haven't been heard from in a few days, reminiscent of the Supernatural pilot itself. She comes back to Sioux Falls, where she meets Patience, who informs her the reason she came to them was because she had a vision of Claire dead in Jody's arms. Now I had a feeling that vision wasn't exactly that from the get go, but whatever. Alex and Jody are trying to find Sam and Dean by tracking down Kaia, who ends up getting picked up very close to their town, so she just happens to be taken to the hospital that Alex works out. How nice for them! Of course, Kaia doesn't want to help out at first, but then one of the monsters from the bad place turns up there at the hospital just in time for Claire to kill it, so she's a little more inclined to accept their help. Turns out, the rift between worlds is still open, and the monsters from the bad place have been coming through it. Patience has another vision, this time of the monsters breaking into the house, so they all get out of dodge. When they see the monsters breaking in, Claire is a little more inclined to believe Patience's vision about herself as well. Meanwhile, in the bad place, Sam and Dean are basically sitting around, unable to find the rift back, even though it's been open for a few days and they have nothing better to do than to walk around to try to find it while avoiding monster creatures. But okay, they get jumped by someone who is able to take them down in two seconds even though we're talking about the freakin' Winchesters here, but whatever, show, I guess you needed them to be the damsels. Jody calls in help in the form of Donna, and they track down where Sam and Dean were last - the junkyard place. They head over, and sure enough, the rift is still open, and a bunch of those monster things are roaming around. But, the rift is also getting smaller, so they need to hurry. Claire and Kaia decide to go in, which I don't entirely understand because it seems like at least one of the adults should've gone, but okay. 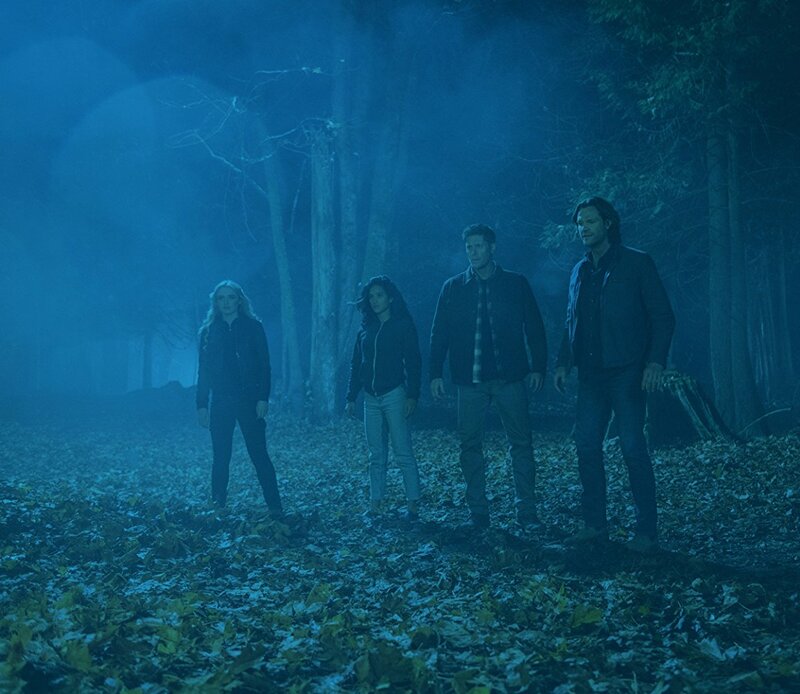 They find Sam and Dean in about two seconds, which means that the rift was very nearby them all along, or else it was nearby their attacker, who also didn't see the big glowy-ness of it? Sure! The attacker ambushes them, and when said attacker throws a spear at Claire, Kaia jumps in the way and gets speared in the gut. She dies before Claire's eyes, but they have to get back before the rift closes, so Sam and Dean pull her through before she can go after the attacker. Back in Sioux Falls, Jody assures the boys that they can take care of whatever other monsters may have come through the rift. Claire decides she'll stay because they worked better together, yada yada. And in some other part of the area, another rift opens, and wouldn't you know it, the attacker jumps through, and it looks like it was the bad place's version of Kaia. Dun dun dun. - I was genuinely surprised at first that they would kill off Kaia when I thought she was supposed to be a regular on the show. But then I was like hmm maybe she's this mysterious figure, and lo and behold, she was. Now does she have the power to open rifts? Because I thought it was Jack who was able to do that, so how did this other Kaia manage to get to this new world? And why would she wait until now to do it? - Still not the hugest fan of Claire, but I guess she's sort of grown on me. Mostly I just like Jody and Donna, so if they can get more focus, then I would be more interested in seeing what's to come. Claire's just so frickin' angsty, sheesh. - It felt like a big deal was made about the bad place, and yet we barely saw Sam and Dean actually in it, other than that big monster at the end of the episode just showing its face. - What did you guys think? 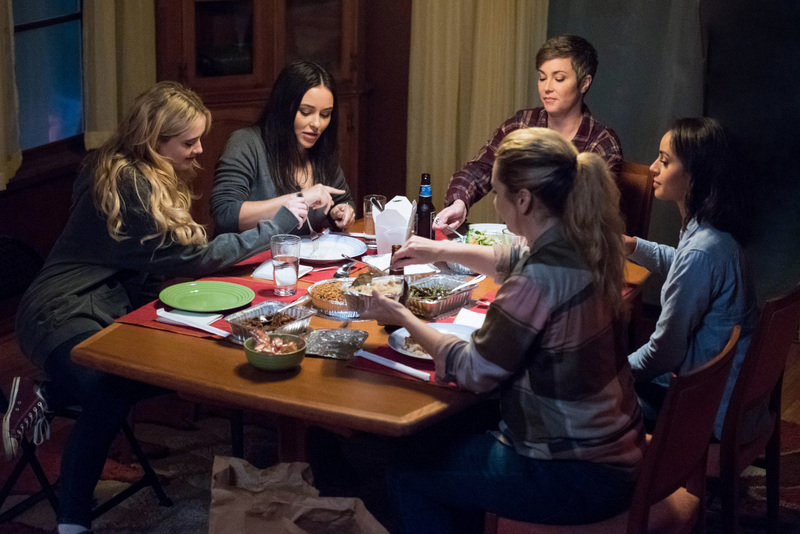 Will you be tuning in to Wayward Sisters when it's its own show? Werewolf: Who the hell do you think you are? Claire: I kill monsters. That's who the hell I am. Sam: Don't tell me it tastes like chicken. Dean: No, Sam, it's a lizard. Tastes like lizard. Jody: All right, girls, let's go to work. Jody: Come on, you guys take care of the world. We've got Sioux Falls covered. Claire annoyed me tremendously when she first appeared (an annoyance that lessened a huge amount when I met Kathryn Newton at NashCon and she was so sweet and nice), but they're taking the time to develop her character as she moves away from bratty teenager to a more mature adult who still has issues. She is very reminiscent of early first-season Dean, but I hope with the new show that they'll let her have her own persona develop and not turn her into a female Dean. It wasn't a perfect show--it had a lot of rough spots--but it was so many miles ahead of the awful "Bloodlines" and I think Jody and Donna will be enough to get people tuning in, and hopefully they'll find some good writers to lay down some good episodes to get them rolling on their own. I'm really looking forward to it. Yeah Claire isn't as annoying as she used to be, but I do hope that she isn't the center focus of the new series as much as she was in this episode. And yeah making her a female Dean kind of diminishes her as a character herself, so hopefully they give more of her own personality. And I agree it was waaaay better than Bloodlines! Hopefully they can find their own niche because it definitely has potential.